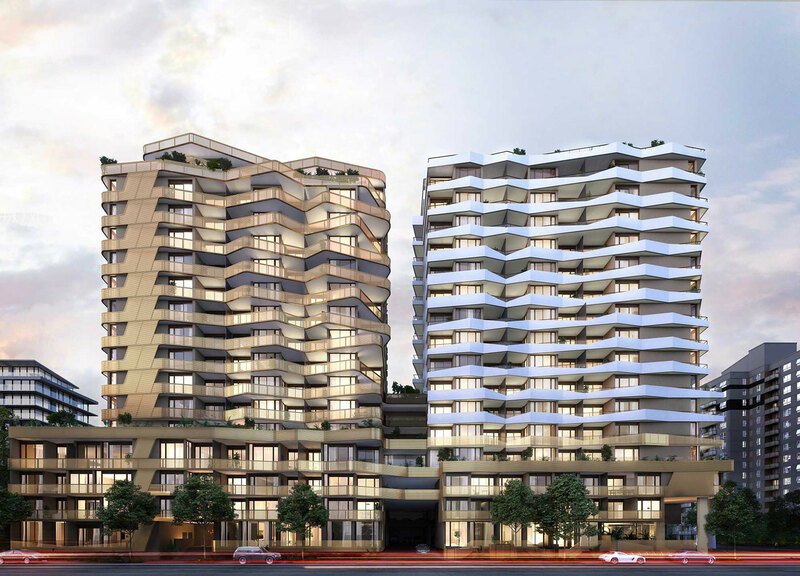 A spectacular two-tower residential development demonstrating high quality in every detail. 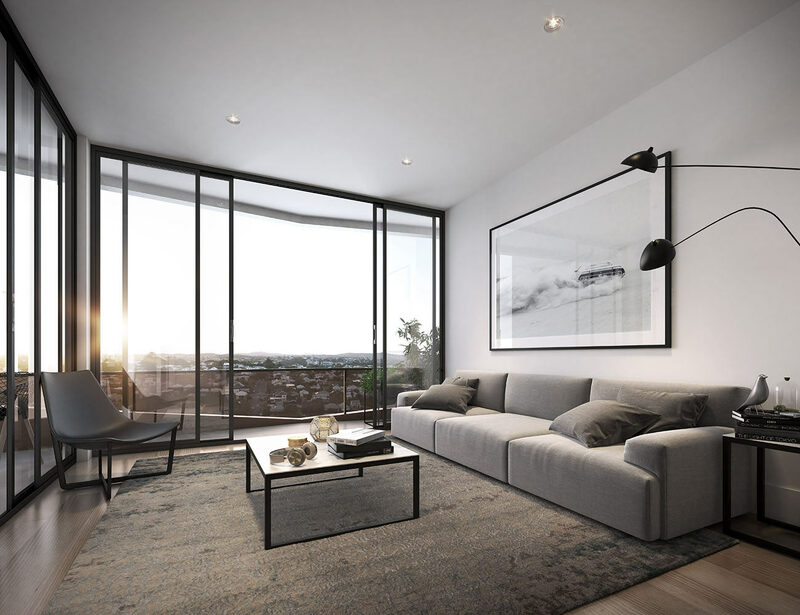 Located 2km from the Brisbane CBD and in close proximity to the Gasworks and James Street precincts, each of the towers has been designed with a distinct personality. 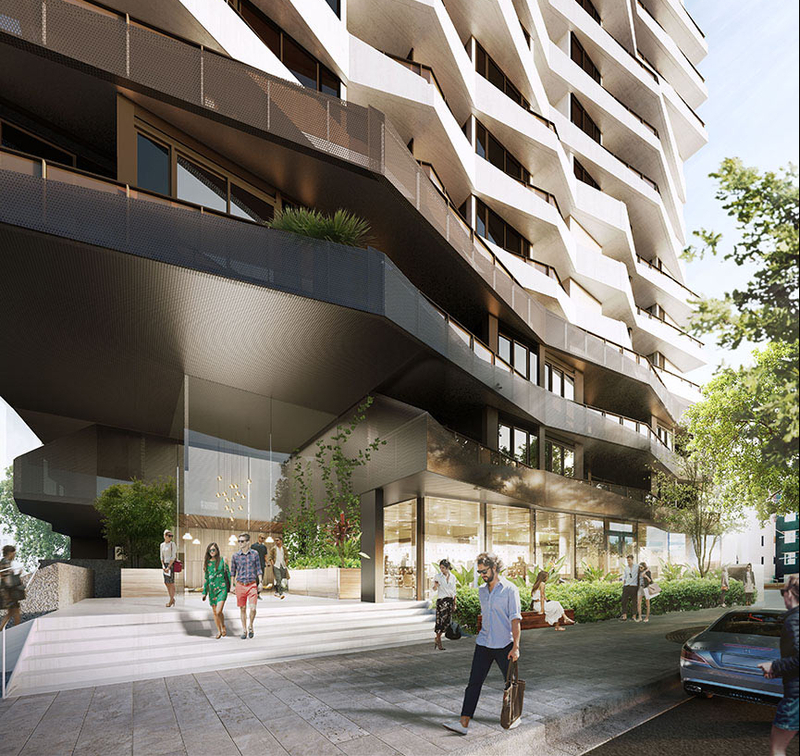 Chiselled facades bring texture and movement to the streetscape while breaking down the mass of the 18 storey buildings. Holding the street corner with angular gravitas, Chester is the more masculine of the two. 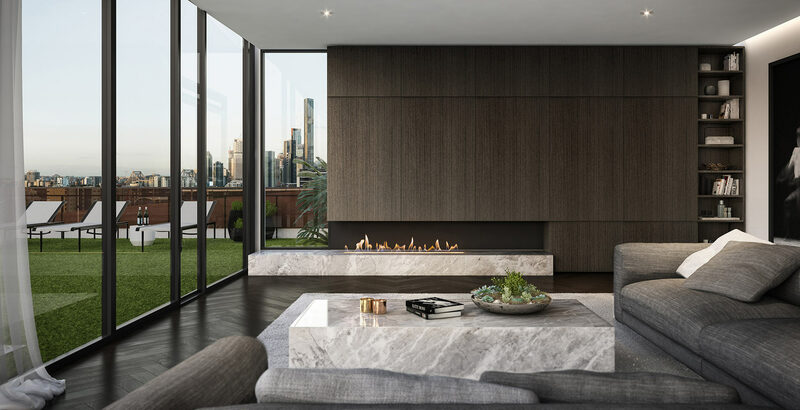 Inspired by the folds and canyons of cliffs along the Brisbane River, white precast concrete balconies and the rich lustre of bronze glass form a reassuring and protective surround. In contrast to Chester’s angles, Ella is all curves. Perforated metal balustrades at once reinforce her curves and afford the building lightness and fluidity. 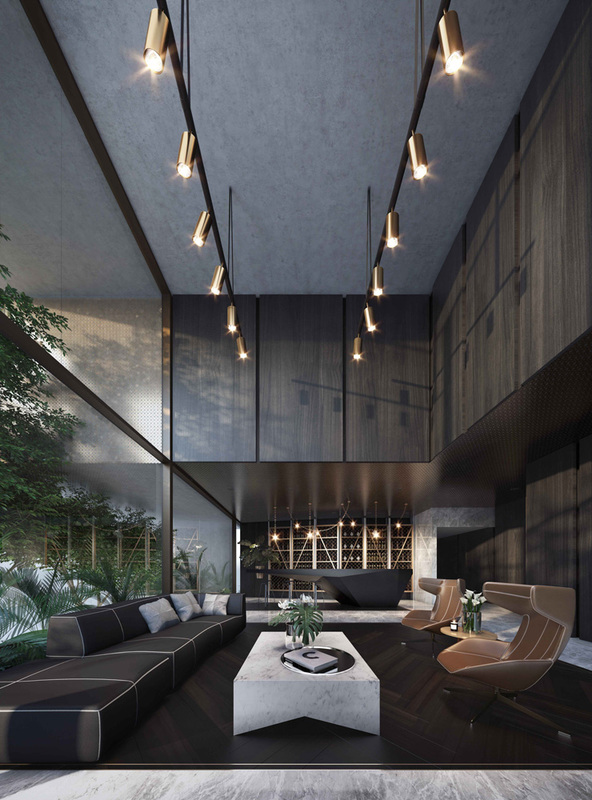 Reflective during the day, at night the perforations reveal the interior habitation.